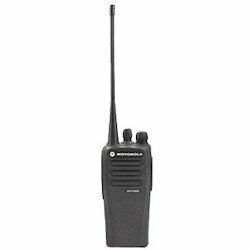 We are a leading Wholesale Trader of motorola digital walkie talkies, motorola digital walkie talkie, motorola xirp 6600i/ xirp 6620i walkie talkie and motorola walkie talkie from Vadodara, India. 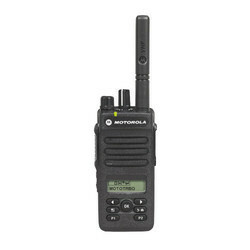 The rugged Motorola XiRP 6600i/ XiRP 6620i is available as an analog/digital radio that offers all the benefits of the latest technology – from superior audio to greater coverage to longer battery life. 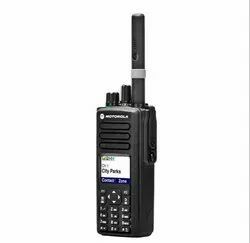 This affordable portable is compatible with advanced MOTOTRBO features you’ll find are business-essential, for example a transmission can be interrupted to prioritize critical communications. 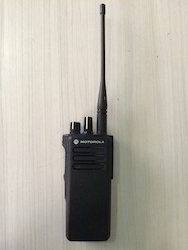 Now you can improve the efficiency of your operation with easy-to-use voice communication that’s right for you.